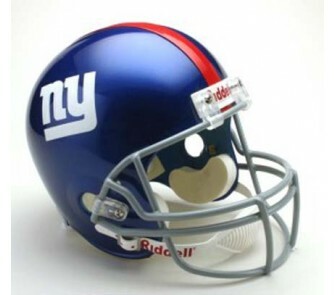 Start a collection of New York Giants Replica NFL Team Helmets. Riddell - the official supplier to the NFL - has designed each helmet with the most recognizable symbols of your favorite teams and players. Each replica looks just like the real helmet with a plastic shell, mask, and foam on the inside, and has the official team insignias boldly on the outside. 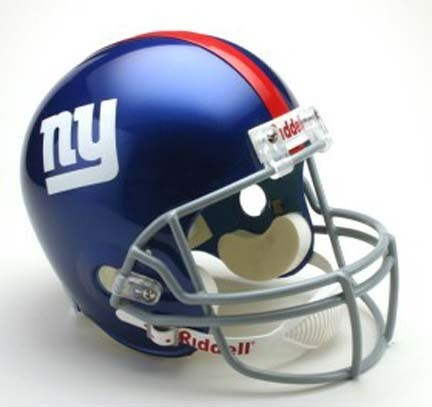 This helmet is available for all 32 NFL teams.